OLAJIDE AND ASSOCIATES’ client base is made up of Public and Private Limited and unlimited liability companies and firms. We also service individuals and trustees too who are based both in Nigeria and outside the country. 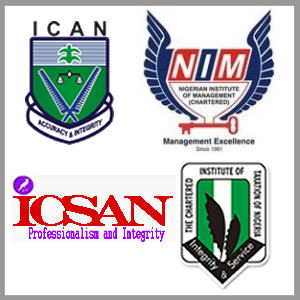 Our client also include Federal And State governments and Local governments and parastatals in Nigeria and abroad. The services we render include auditing and assurance services, company incorporation and registration services and company set-up among others. OLAJIDE AND ASSOCIATE also carry out immigration and emigration services through The Nigerian Immigration Service to expatriates and expatriate quota permit processing and renewal. OLAJIDE AND ASSOCIATES handle monthly immigration, CERPAC andgreen card processing with despatch. OLAJIDE AND ASSOCIATE's company registration and set up is processed through The Corporate Affairs Commission. OLAJIDE AND ASSOCIATES provide agency and representative services to foreign companies who are not based in Nigeria. OLAJIDE AND ASSOCIATES's representative services are as if you are operative in Nigeria. We will link you to Nigerian dealers and consumers by marketing your products and services through our wide range of business promotions and advertisements in Nigeria.